Small yellow daisy flowers. In the Aster Family. 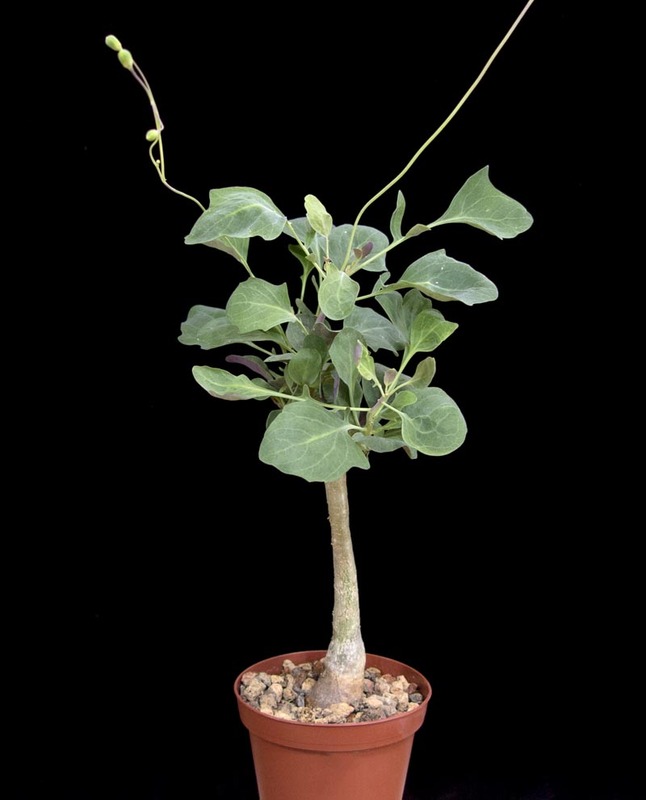 Forms a low round caudex topped with multiple branches. New leaves grow starting in October.